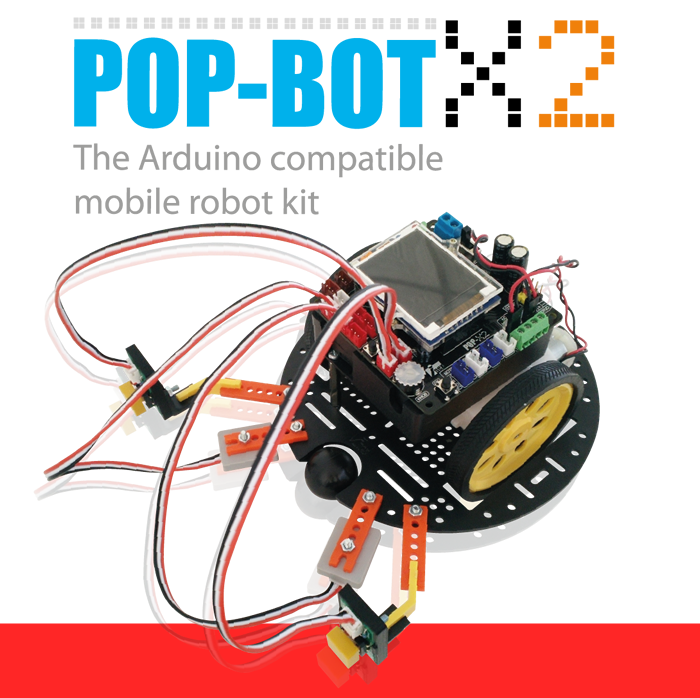 The POP-BOT X2 is the first of its kind with Arduino compatibility features packed into a mobile robotic platform. It comes complete with wheels, motos, sensors, software and documentations. 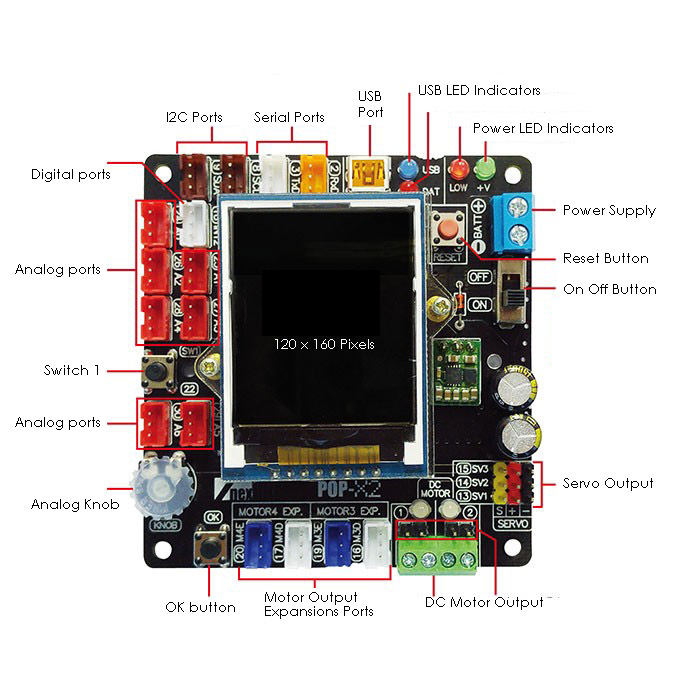 - The microcontroller is based on the ATmega644P running at 16MHz and preloaded with the customized Arduino boot Loader. - Color Graphic LCD 128x160 pixels that support texts and vector graphic. - One button and KNOB for starting I/O interface. - 12 Programmable I/O pins including 7 analog inputs. - UART, I2C bus and SPI communications. - Powered by 4 of AA batteries. Supports alkaline and rechargeable batteries (recommended). 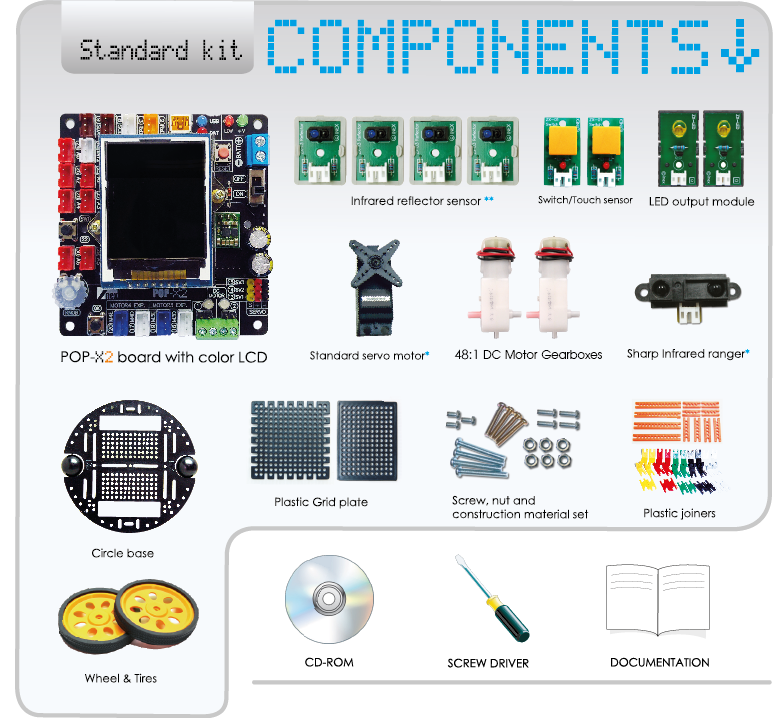 - High-quality PCB with ROHS. Size is 7.3 x 7.8cm. - 2 DC motor driver with direction indicators. - 3 RC servo motor. Supports servo motors that use +4.8 to 7.2V range. However 4.8 and 6.0V power supply is highly recommended. - Supplied with a 4 x AA battery holder. Battery are not included.